The annual conference of the College Art Association is going on right now, and the Moving Panorama of Pilgrim’s Progress book is there! 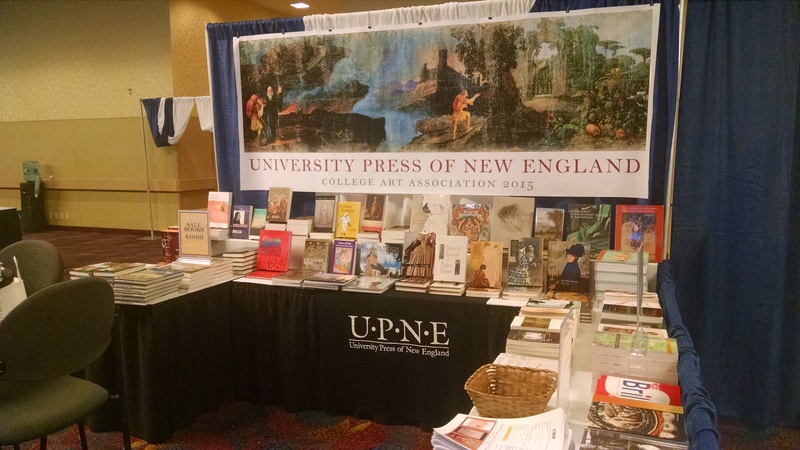 Here is a picture from the University Press of New England table in the exhibit area, with the panorama front and center. Advance copies are on display, and they are taking orders. You can also pre-order a copy from the UPNE website by following this link. So very proud to be part of UPNE’s family of authors and to share the panorama with the CAA’s community of scholars. ← The Maine Photo Project debuts! UPDATED September 30, 2014.